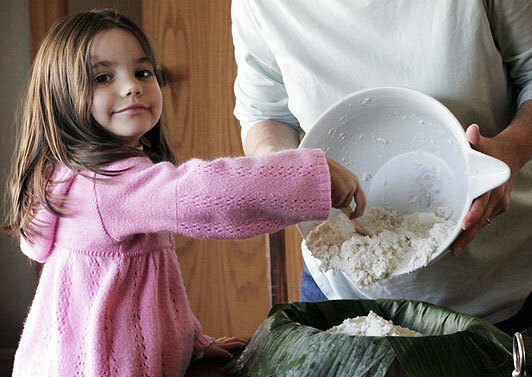 Cooking the world was the greatest gift I could give my family – full of delicious memories and learning opportunities. But what to do with all the pictures we took? As food tourists we armed ourselves with cameras and, just like real tourists trekking across the globe, we snapped pictures of every culinary landmark in our kitchens and around our dining tables. Hundreds of them! We uploaded our pictures here and on Instagram, feeling pleased with our work as parents. But children don’t live on Instagram. I had an uncomfortable realization the other day. My daughter, Ava, is just six years old. 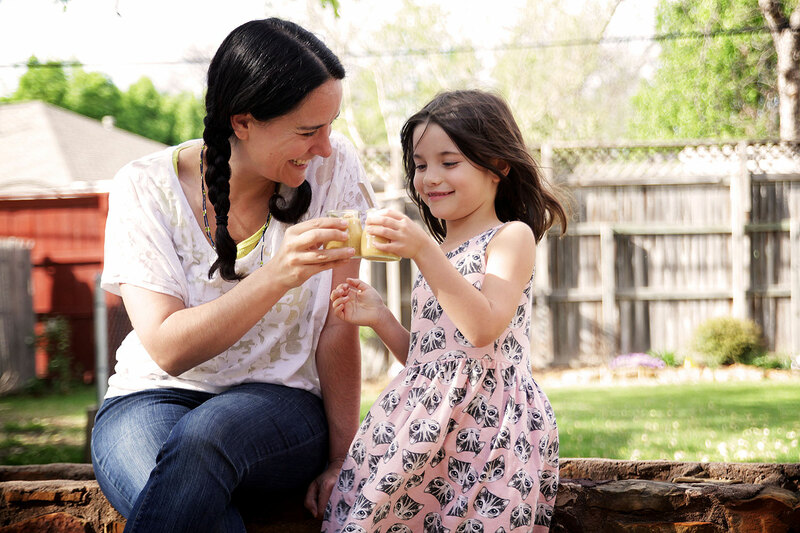 She ate a meal from the world’s 195+ countries by the time she was 4 1/2 years old. It is a scientific fact that, though her taste buds will always remember our adventure (making her much less picky than she otherwise might be), she might not. The only time Ava sees photos from our Global Table Adventure is when I explicitly sit down with her at the computer. Our lives are incredibly busy. As you can imagine, this rarely happens. Since the littlest among us don’t scroll through feeds to take in their world (thank goodness) we need to come up with something else. 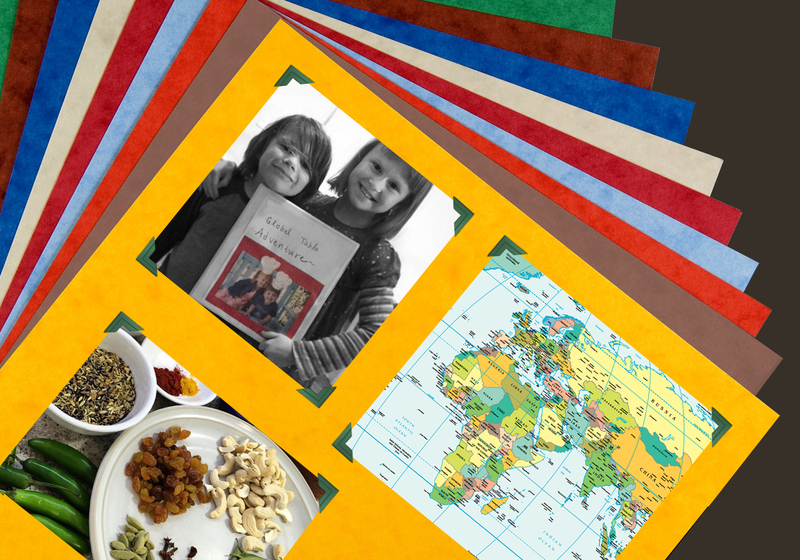 We can help our children cherish their Global Table Adventures with a Food Scrapbook – something they can hold in their hands, store on their bookshelves, and update as much as they’d like. They can keep their scrapbook until they’re grown, at which time they can recreate the dishes for their children. How beautiful is that? Longtime readers, Midori and Brian, recently shared the scrapbook they made for their niece and nephew and I fell in love. It was so great I wanted to share it with you, along with 5 Tips for creating a fantastic, fun, fascinating… Food Scrapbook! Start by creating a page for your top 5 favorite recipes. You can always add more later. Look how happy these kids are! 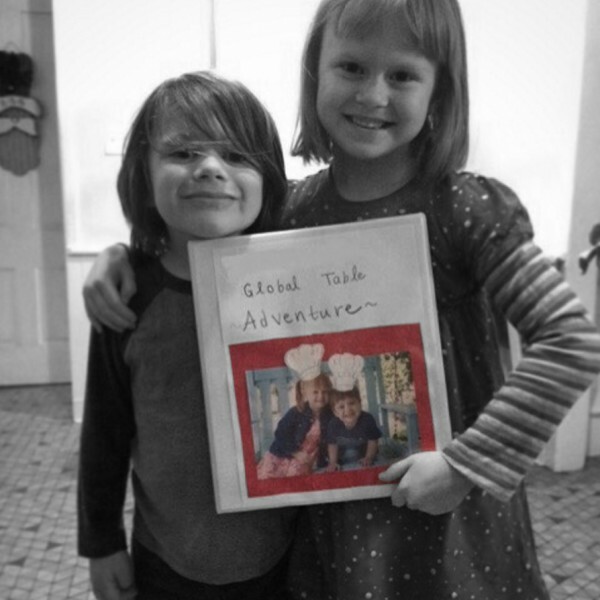 This is the moment they got their Global Table Adventure scrapbook from Brian and Midori. It is more important to enjoy the scrapbook than fuss over making every detail perfect. True story: I still have the scrapbook I started for my wedding. It’s unfinished, collecting dust at the back of the closet… all because I put pressure on myself to make it “just right.” Unfortunately, “just right” meant it never got done. When I switched to an online editor I filled 300+ pages (including scans of our wedding cards and more) in a short amount of time. If you’ve already completed your Global Table Adventure, you might find working digitally is quicker. I love Blurb (that’s what I used for my wedding book). If you are still cooking the world and need the ability to keep adding to your Food Scrapbook, a simple 3-ring binder with plastic inserts will do the job. That’s what Midori and Brian did! The plastic inserts also make it spill resistant. Whatever version you choose, all scrapbooks can be embellished with markers and glue… a sure way to get the kids involved. 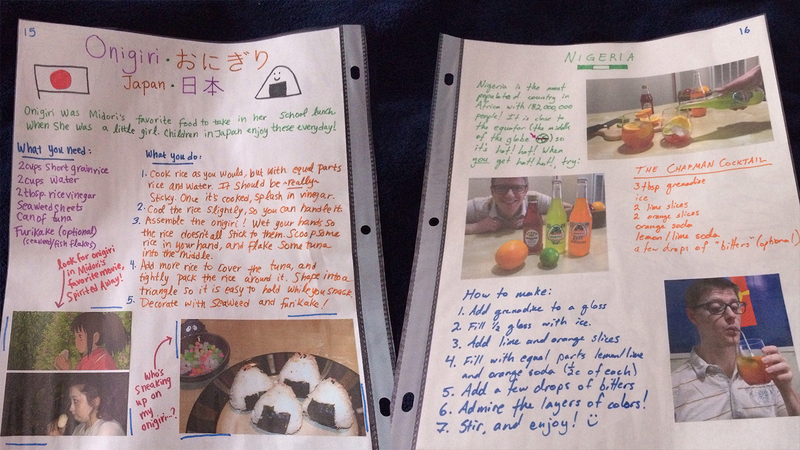 This is my favorite part about Brian and Midori’s Food Scrapbook. They used a world map as the table of contents! Simply write page numbers next to each country or continent. When the urge to recreate a favorite meal overtakes your family, you’ll be able to flip to the appropriate section in seconds. It’s also super easy to update – genius! The most important (and fun) part of a Food Scrapbook is personalizing it. Do you like to match photos of your meal with anime? Midori, Brian and their friends do! Your interests make your Global Table Adventure different than mine. Your scrapbook should also reflect your personality. Did you cook with your great grandfather or a cousin you rarely see? Document unusual experiences like working with banana leaves or rolling your own sushi for the first time. Did a meal call for a special piece of equipment, like a tagine? Did the cooking method have an unusual step? Do a little sketch or include a photo! 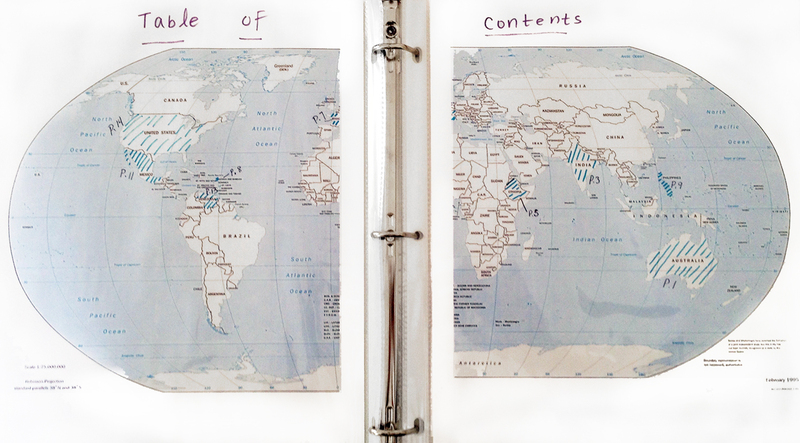 Find an old atlas or encyclopedia at the thrift store and cut it up to add international flavor to each page. It’s okay to clip recipes from outside sources as long as they’re for your eyes only (ie. you aren’t making copies or selling your scrapbook at a fundraiser). Otherwise you’ll need special permission. Did you go to a cool international market and buy your first 50 pound bag of rice? Tape the receipt in your book. Food packaging can be a work of art, especially if written in another language. Make sure it’s clean, then glue it in your scrapbook! When your child grows up, they might want to continue their Global Table Adventure. Add a list of resources in the back to help guide them on their stovetop travels. Inspiration can come from many places. 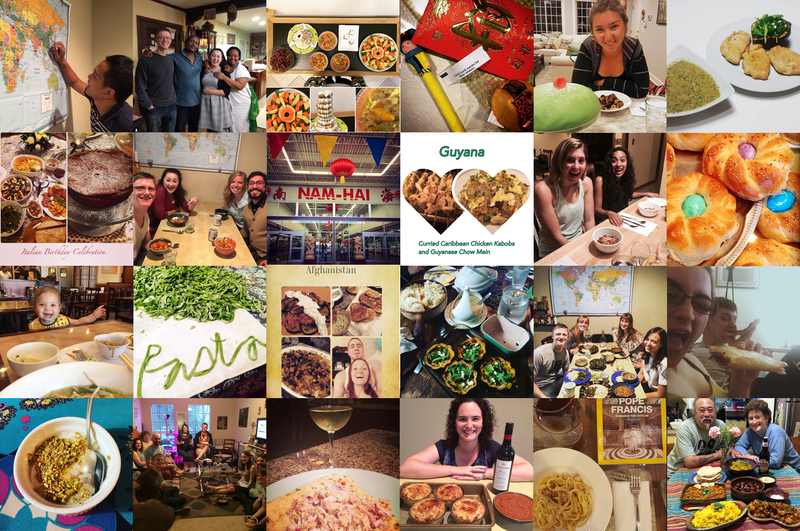 These photos are just a few of the photos shared by the amazing Global Table Adventure community on Instagram (#GlobalTableAdventure). Browse around, get inspired and continue your adventure knowing you’re in great company! You might think of a new dish to try – or a new way to serve it, perfect for your beautiful, new scrapbook. Instagram photos by the lovely… @midorifaye (blog), @ckeegan_foodandfoto (blog), @busymamas (blog), @mamadances, @d.nev.richardson, @sarah.jean, @rebalowrie, @laurenaiken1, @haleyy_summers, @backofthetaptap (blog). Thank you for being a part of our community! To help you on your Global Table Adventure, I created a FREE Starter Guide. 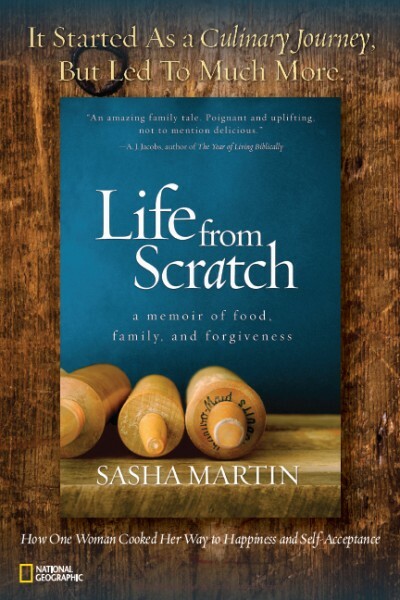 These 45 pages are complete with tips for dealing with picky eaters, a “pact” for the whole family to sign, tips for hosting potlucks, and more – all to help make cooking the world a fun part of your lifestyle. Teachers and home educators will also enjoy my FREE Printable Passport Book for tracking progress through the countries (you might even want to create a mini food scrap book with it!). Cheers, from our Global Table Adventure to yours! 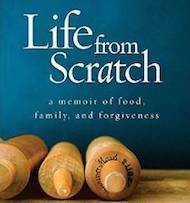 So proud of our Midori and Brian for putting together this cook book. It can build along with their travels and the kids it was written for. Thank you Sasha, for sharing this with the rest of the world! This is such an awesome project – though I can’t imagine getting as much out of it without kids to share it with. I guess I’ll have to wait a few years! I have the best memories of making things like this with my Mum, you’re right, those good memories and treasured keepsakes last forever. Perhaps – though I love the idea of something like this replacing the “recipe box” approach of our grandparents.